On September 22, Anthony Joshua will put his IBF, WBA, WBO and IBO titles on the line against Alexander Povetkin. But who is the fearsome Russian looking to spoil the party at Wembley and what can we expect from him? From his doping ban, to style of fighting and solitary defeat, Sportsmail answers the key questions about ‘Sasha’. On September 22, fans will have their eyes glued to the action at Wembley and with good reason. This isn’t likely to be the same cold and calculated Joshua who out-pointed Joseph Parker last time out, simply because Povetkin will take more risks. The 38-year-old will push a pace and crucially is very aggressive. He’s unlikely to allow the British superstar to settle into a rhythm, a recipe for edge-of-your seat action. Joshua has become accustomed to fighters showing a degree of caution in the face of his thunderous power and Carlos Takam was another who was reluctant to engage. He won’t have that luxury in two months. Built like a Greek god or jacket potato? 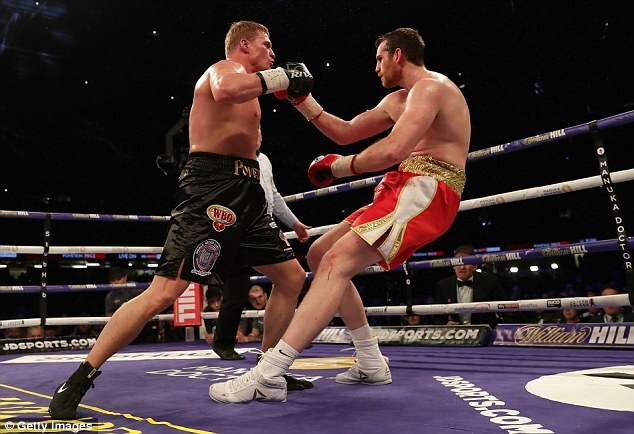 Povetkin stands at 6ft 2in tall with a 75 inch reach. He typically weighs around 16 stone 5lbs on fight week. He’s not a gigantic heavyweight but is stocky and compact in the Mike Tyson mould. Joshua is likely to be carrying an extra two stone and stands three inches taller. Let’s start with the obvious. 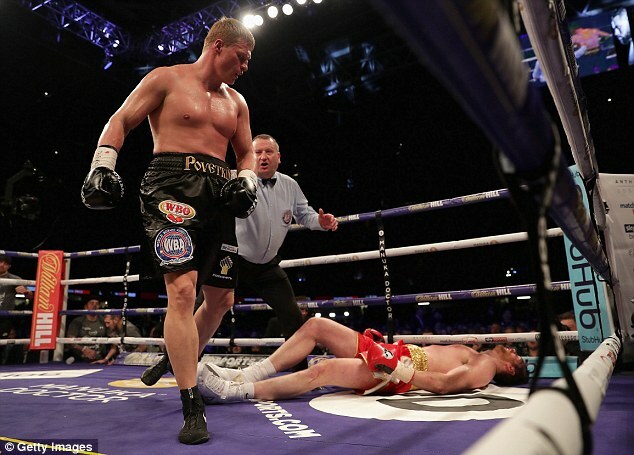 Povetkin has knocked out 70 per cent of his opponents and clearly possesses the kind of raw power to end a fight at any moment. He’s not a loose puncher, flinging shots from bizarre angles like Deontay Wilder, and there’s no wasted energy, in short he is technically very efficient. Povetkin’s wealth of experience will also count in his favour. He has superb amateur pedigree, winning gold at super-heavyweight in the 2004 Athens Olympics, in addition to 13 years in the professional game. Though you could argue that those miles on the clock may count against him aged 38, he has incredible experience to draw upon and a superb boxing brain. Depending on Povetkin’s willingness to throw caution to the wind, he’s also adept at working inside and targeting the body to open up his opponents. 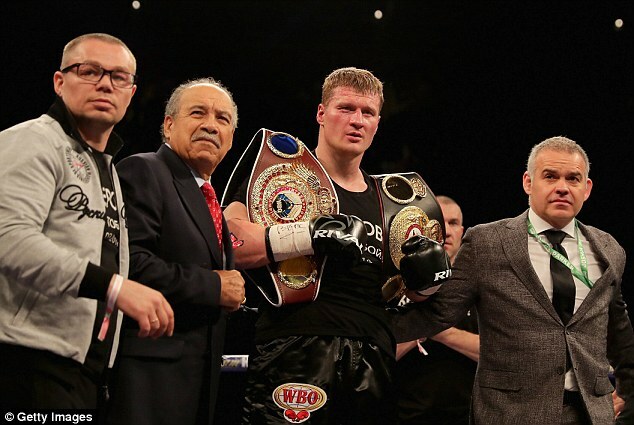 There’s no doubt Povetkin is in the twilight of his career and his best years are probably behind him. Father time catches up with fighters in different ways and the ability to take a punch can deteriorate rapidly. It will be fascinating to see how Povetkin holds up in the face of Joshua’s raw power as the Russian’s most recent victory over Liverpool’s David Price posed questions about his chin. Price wobbled Povetkin in the third round and that will be a concern stepping into the squared circle with AJ. What about the doping controversy? As with many high-profile Russian athletes, there is a notable stain on Povetkin’s career. He tested positive for meldonium in May 2016, the same banned substance Maria Sharapova was punished for. Meldonium essentially increases blood flow and improves exercise capacity, a clear advantage during any sport requiring endurance. The failed drugs test led to his scheduled fight against Deontay Wilder being scrapped but eventually the WBC accepted the explanation that he stopped taking the drug before it was on the banned list that year. But it wasn’t the only black mark against him. In December 2016, just six months after his first failed test, there was another one. This time Povetkin was found to have taken banned muscle-building substance called ostarine and the World Boxing Council threw the book at the Russian. He was thrown out of the sport, then allowed back in with a year-long ban and a massive £188,000 fine. No doubt he will be stringently tested in the run-up to the biggest fight of his career against Joshua. And the one defeat on his record? 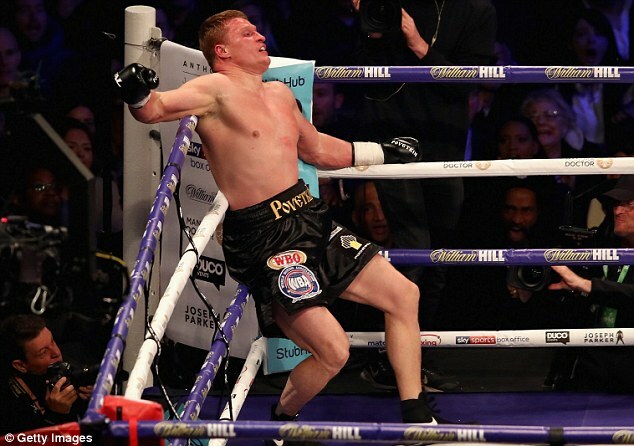 Povetkin has tasted defeat only once during his professional career, a brutal 12-round affair against Wladimir Klitshko in October 2013. He lost a unanimous decision and was knocked down in the second round by a left hook. He hit the canvas three times in the seventh but rose to see out the contest, prompting criticism of Klitchko for a lack of ruthlessness. All three judges scored it 119–104 but the flow of the fight was spoiled by a huge number of clinches (160 to be precise) and Povetkin only connected with 21 per cent of his punches. He was well beaten in the end but a £4.2million pay-day softened the blow.